Barton Hills was founded 1919. The course was designed by Donald Ross in 1922 and we have been committed to giving our members an unparalleled golfing experience ever since. In 2012, the Course was redesigned by Ron Prichard to include 9 different rated courses for men or women to play as well as the 2 tee options for junior golfers. In May 2018, new course improvements were completed. These improvements include green contouring and a re-grassing project in order to incorporate state-of-the-art bent grass surfaces. Unlike many clubs, ours is an 18-hole Private facility with only a few houses on the course. This way you truly feel like you're on vacation, away from it all. 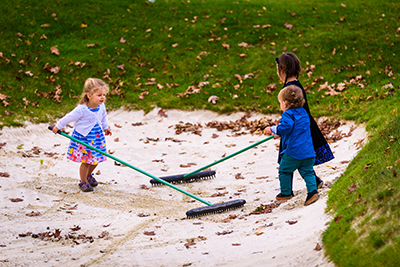 Members can choose to walk and carry, use a caddie, or take a cart, whatever works best for them! The best part of the Course is that it is a fun classic golf course. A user friendly golf experience that appeals to the recreational golfer, novice golfer, and the tournament player. A playable classic gem that has been enjoyed for a 100 years. Barton Hills has been ranked in the Top 200 Classic Golf Courses in the US by Golf Week and one of the Top 20 Courses in Michigan by Golf Digest. We conduct both an After-school program and an Elite Program for kids based on their ages. There are 2 PGA Junior League Teams and 'Play with the Pro' days. Men have many programs to choose from. There is an active tournament program, spring league, invitational, stag days, member events, stroke & match play championship and senior championships. There is a 22-week program for both 9 & 18 holes conducted for ladies between late April and mid-September, every year. The 9-hole league involves both morning and evening play sessions to accommodate everyone's schedule. The 18-hole league play on Wednesdays. Events include stroke & matchplay championship, a 2-day invitational, guest days, "Bring a Friend Day", and a bag lady event which is a season-long event hosted 4 times. This is a large and active program that draws a lot of women of all playing abilities. We conduct a Parent & Child event that is held annually for Mother and Son/Daughter or Father and Son/Daughter to either compete with each other or just play for fun. This event is sought after and one your family won't want to miss. The Golf Shop is a 1000 sq ft showroom with golf and club themed gifts, everyday-lifestyle outfits, and college or team apparel. While there are three fitting club systems, we carry the major brands - Titleist, Ping, TaylorMade and Callaway. The Shop is open 10 months of the year and even on holidays for your personalized shopping experience. It is professionally owned and run by our PGA Professional, Patrick Markley. We have a full driving-range, with 25 stations, both grass, and mats. There are 3 putting greens, multiple target greens, and also a short-game practice-area with several bunkers. We use premium range balls in all practice areas. Barton Hills offers tailored Clinics and Instruction Programs to fit all members needs. We have 4 PGA Golf Professionals, including a Director of Instruction, who are well-versed in technology such as launch monitors and v1 software to conduct these programs. There are series packages, individual, or group instruction options to choose from. We also conduct a 4-week On-course Clinic in May to help new golfers or existing members brush up on their game for the season, and a unique 'Wine, Women and Wedge' event to make practice fun. Barton Hills is a prominent venue for Business and Not For Profit Organizations to host charity events. 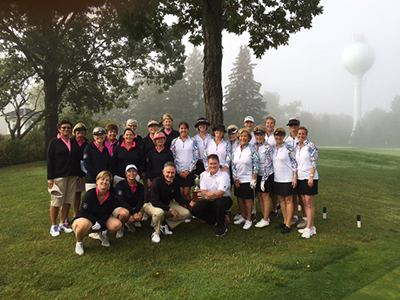 We primarily host major championships such as USGA regional and state championships and Golf Association of Michigan Championship. The Michigan PGA Pro-Am is also hosted at Barton Hills every year. 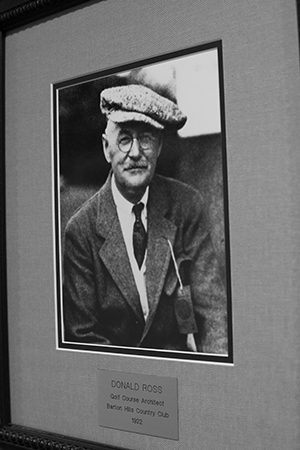 There is a unique Event called the Donald Ross Border Battle which works its way around to different courses in Indiana, Illinois, Ohio, Michigan, and Windsor, Ontario. 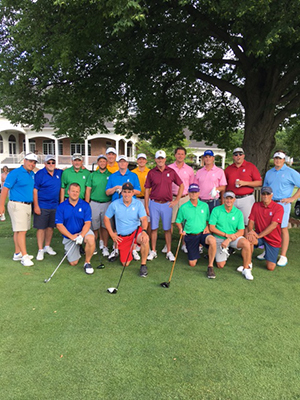 Barton Hills CC hosted the event in 2017 while the 2018 battle is slated to happen at the Inverness Club in Toledo. Do you have more questions about golf at Barton Hills Country Club?